How can we get this model to tip so it becomes part of the giving and funding landscape? Crowdfunding needs to reach beyond family, friends and close social and professional networks of individual campaigners. Crowdfunding needs to be familiar to the public. People should be made aware of campaigns that would interest them – ones that improve their local area, are in a field they are are passionate about or offer an investment opportunity. 1. Those raising money through crowdfunding should donate to other campaigns. When I run workshops on crowdfunding I ask participants to consider if they would donate to a project and what what they would encourage them to do so. Many of the groups do not give away any of their virtual money by the end of the exercise. These are also people who hope to gain funds from people they do not know for their projects. See the post here. You can search by area or postcode on some of the sites – but not all. 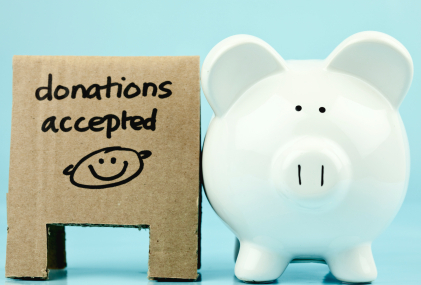 The main reason people donate is that the people or the project is known to them. This is more likely in the local area. When Stephen Fry asked his 4 million twitter followers to donate the price of a cucumber sandwich to Glyncoch Community Centre campaign on SpaceHive – not only did this help the campaign reach its £30k target but it raised the profile of crowdfunding in general. There needs to be more endorsements – and examples of people donating – not just raising money. Buzzbnk are developing their website for mobile use on a wide range of mobile phones and tablets as well as building apps with a NESTA Innovation in Giving grant. However currently potential donors are directed to a campaign landing page through personal contact with the campaign. If however people wanted to see if there was a business or creative project in their area or field of interest they would have to search through many platforms – would they do this? If there was one site that indexed by project category and by area this would be invaluable.